Do you want to resolve long standing health issues or just use a bandage and waste living a life of health and happiness? Hi my name is Tony Jaafar, I am a Naturopath, Iridology and Nutritionist. My specialty is in diet, anti-aging programs and overcoming difficult diseases. I love helping people not just to ease their pain and improve their health conditions, but to show them how to restore their bodies optimal health and fitness. During my consultation, you will quickly discover that even though I focus on your current symptoms and disease, I will also provide you with the best ways to reach optimal health and fitness and gain back your confidence of your mind and your body. I guarantee that you will not find this Service anywhere else! I grew up loving to read, curious to understand everything about human health and I loved helping people. I believe everyone in life deserves to live a healthy and happy life. To do that there is only one way, which is to have an understanding of health knowledge for your body. Unfortunately we grow up in a Society programed in ways not to give you the chance to obtain that right information. I will provide this information so you can enjoy your health potential and true happiness. I was fortunate at an early age where my parents helped me develop the passion to read every book related to disease and health. Over the years I was lucky to read hundreds of contradicting health theories and books of different authors, such as homeopath, kinesiology, energy healing, meditation, modern naturopath, different types of diets, the science behind resistance exercise, yoga, herbal books, Pilates, transmutation law etc… I also read many books about the human biology and Pathophysiology. I also attended hundreds of Seminars, as I love to learn and wanted to keep up to date on all new health research, products and discoveries. The Last 10 years I have worked and helped hundreds of patients to improve their health , some of them I have helped reverse their diseases by simply focusing on health. This effort has strengthened and provided me with the knowledge and experience to be confident to deal with all types of diseases. The result of this translates into helping people to gain their courage to overcome health issues and handle life crisis more easier. Today most of my patients claim in their testimonials that my knowledge, experience, proven results and my mind set is completely different to any practitioner they meet, dealt or had experience with in the past. There are no cure to diseases but there is one solution health. So currently my main focus is to answer one question. How to live a disease free life, and keep your fitness and health at their peak Level, even though you may be getting older each year? I believe we all born to be healthy and there is no difference between who you are and what you can be except having the below knowledge can assist you get there. Your belief system about yourself at the physical, mental and emotional levels? The secrets lie on how to turn on these health systems. My job is to show you the way by using different programs and techniques so you can start to live and enjoy the life that you always dream to live. I dare you to ask these five big questions! Are human born to live a healthy life or doomed to be sick? Are there really any cure for diseases, or the solution is only for health? Why I don’t treat diseases, but I treat people? Why even with billions or trillions of dollars spent on countless scientific research and improving of medical diagnostic equipment’s diseases still are increasing at a dramatic rate. These include diseases such as cancers. Cardiovascular diseases, diabetes etc. “increased more than 500% in the last one hundred years”? Why investing in your health is cheaper now and long term than focusing on treating diseases? 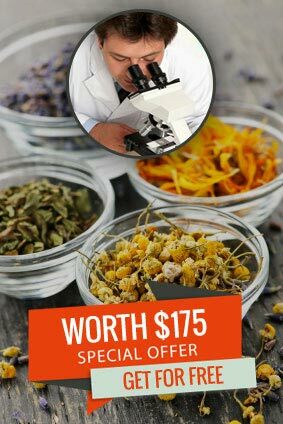 Today Sydney Naturopath Tony Jaafar has developed a unique scientific method to all health issues and concerns, and finds joy and meaning in helping people. His unique scientific method does not improve or cover the problems. He really does offer a solutions to maintain health, wellness and regain back youth energy and be in-charge of your own body and mind.